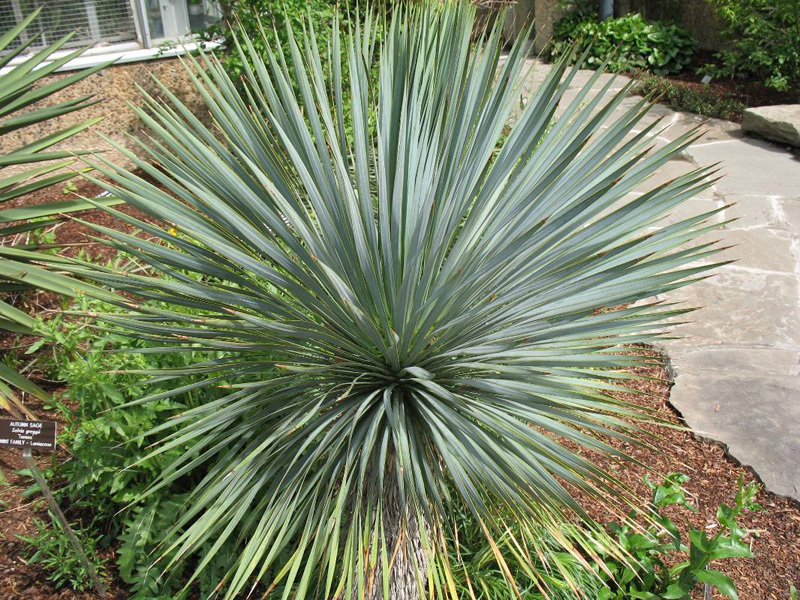 Comments: A slow-growing tree-like yucca that has pale bluish-green leaves with yellow margins. Its common name, beaked yucca, is derived from unique beaklike additions on dried fruit. Can grow in fairly wet soils, but established plants grow in dry ones. Flowering reported to occur in spring, summer and in fall. The date of bloom seem to vary with the location, with spring being the most often season given.